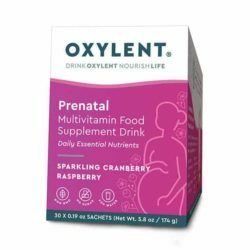 The official omega-3 of the American Pregnancy Association, Prenatal DHA is the ideal supplement before, during, and after pregnancy. 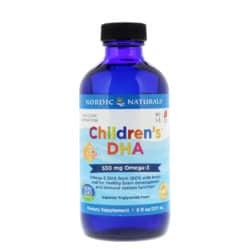 With 480 mg DHA per serving, Prenatal DHA generously fulfills the international expert-recommended daily intake for DHA, providing safe and effective omega-3 nutrition to moms and babies alike. 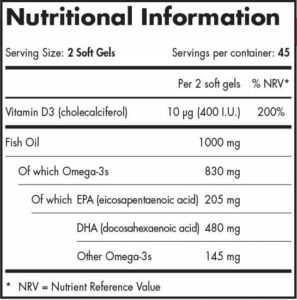 Plus, we’ve added 10 μg vitamin D3 (cholecalciferol), the natural form of vitamin D produced by the body, for normal bone development and support. 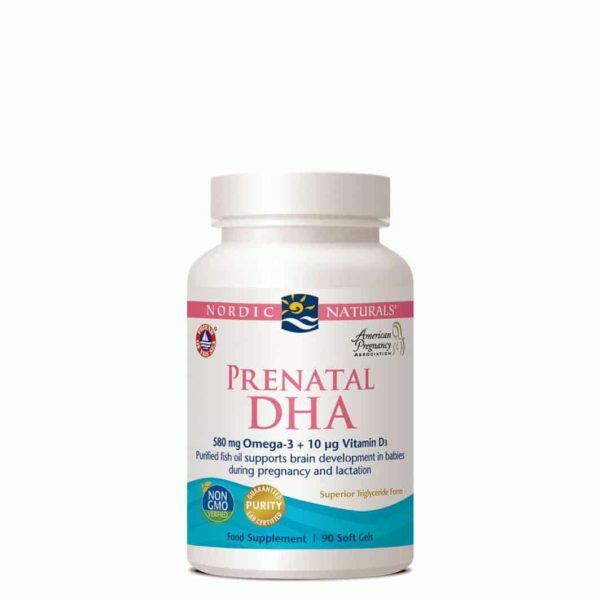 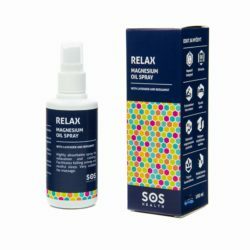 * For pregnant and lactating women, beneficial effect obtained with daily intake of 200 mg DHA in addition to the recommended daily intake of 250 mg omega-3s for adults. 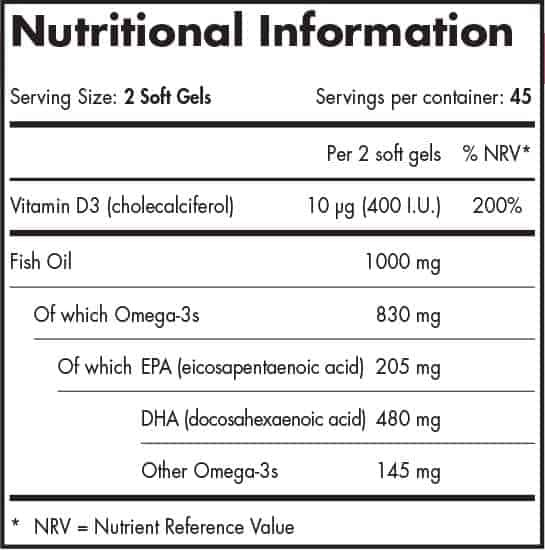 purified deep sea fish oil (from anchovies and sardines), soft gel capsule (gelatin, water, glycerin), antioxidant: vitamin E (as d-alpha tocopherol), vitamin D3 (cholecalciferol in olive oil).